A Russian district court has given opposition figure Aleksey Navalny a five-year suspended sentence in a high-profile embezzlement case that stretches back almost a decade, which may undermine the activist’s presidential ambitions. 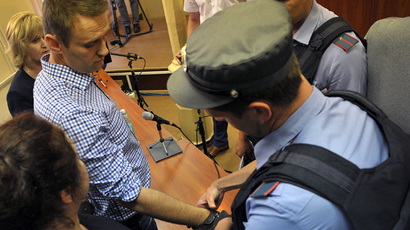 The judge sentenced Navalny to five years suspended and his co-defendant Pyotr Ofitserov to four years suspended. Navalny and Ofitserov will also have to pay fines of 500,000 roubles (about US$8,500 at current rates) each. The punishment coincided with what the prosecution had asked for and was the same as in the first trial. The sentence concludes the latest episode of a legal battle the Russian activist has been waging for years. The proceedings on Wednesday were the culmination of the retrial of an old case, in which Navalny and his co-defendant were accused of embezzling public funds. After the verdict was delivered, Navalny said that he would not abandon his plans to run for the Russian presidency in 2018 and that he would appeal the sentence again. Navalny served a large part of the term after his first sentence, with the judge deducting this period from the new term. It means that the suspended sentence is set to expire in August 2018. The so-called Kirovles case dates back to 2009, when Navalny worked as a pro-bono aide to the then-governor of the Kirov region, Nikita Belykh. According to the prosecution, Navalny convinced the management of the state-owned Kirovles company to sign a contract with a firm owned by Ofitserov. The contract terms were meant to embezzle budget funds, the charge stated, and resulted in multimillion-dollar fraud. The investigation continued on and off from August 2009 and went to trial in 2013, which resulted in the convictions of both defendants. 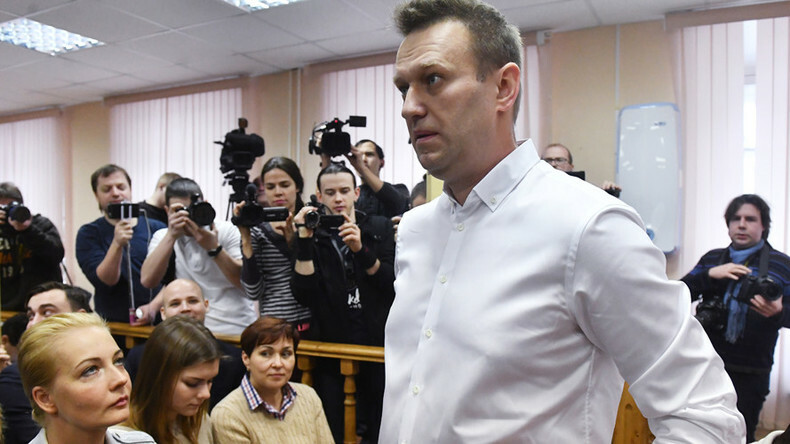 It was followed by a long appeals process, eventually reaching the Russian Supreme Court and also the European Court of Justice, which ruled in 2016 that Russia had violated Navalny and Ofitserov’s rights to a fair trial. The Supreme Court scrapped the outcome of the first trial in December 2016 and ordered new proceedings. 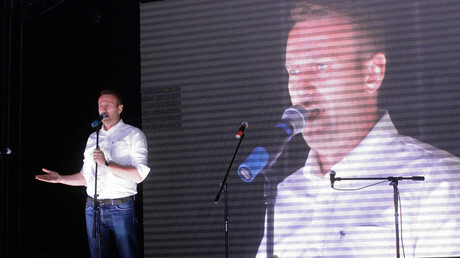 The retrial came as Navalny declared his aspirations to run for the Russian presidency. He has previously tried to gain election to several public offices, including that of mayor of Moscow in 2013 - when he came second, gaining 27 percent of votes. In his closing statement in the current case, Navalny pledged to carry on his presidential campaign regardless of the sentence. He also said that he was sure that many of the people who attended the trial would vote for him. “I do not recognize this sentence, I am innocent and this sentence will not stop my election campaign,” he said at the conclusion of his speech. However, Navalny’s lawyer Olga Mikhailova pointed out that there is an apparent contradiction in the issue, since the Russian constitution bars convicted citizens from being elected if they are serving a term in jail, not a suspended term. “There is a legal collision here,” she said. Navalny supporters claim the embezzlement case was politically motivated and meant to punish him for being a prominent opposition figure. He started his political career as a self-styled protector of minority shareholders of big Russian companies, investigating alleged cases of fraud and mismanagement. Later he went on to report alleged embezzlement and misspending by top Russian officials.